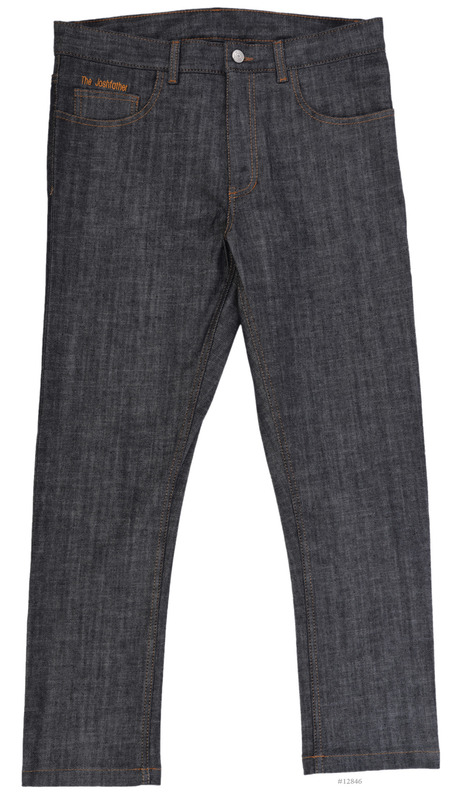 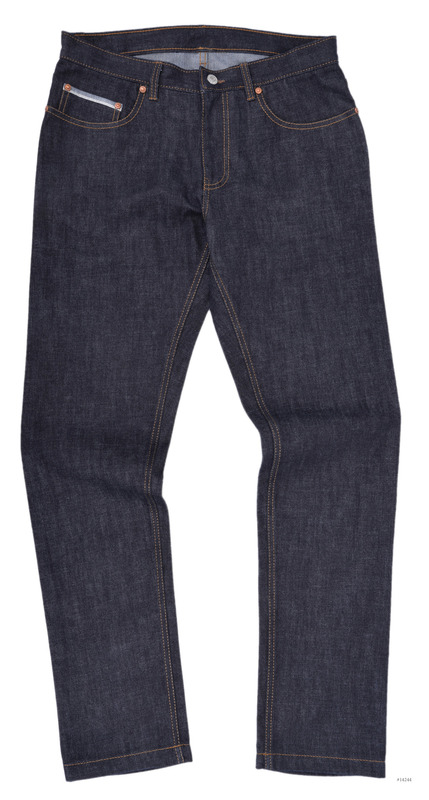 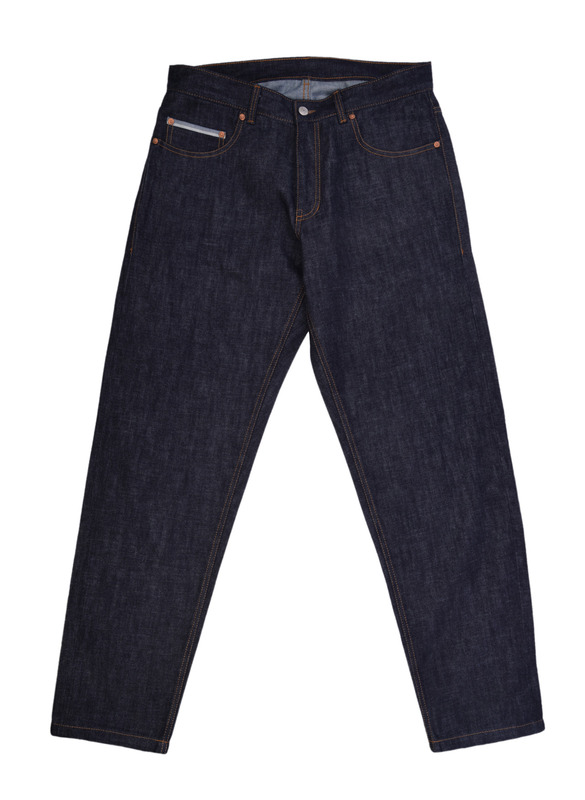 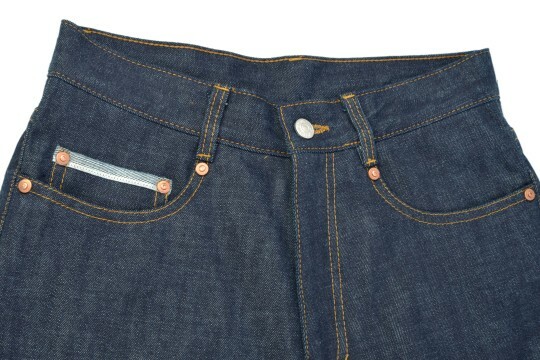 Consists of jeans style closure and jeans style front pockets with rivets. 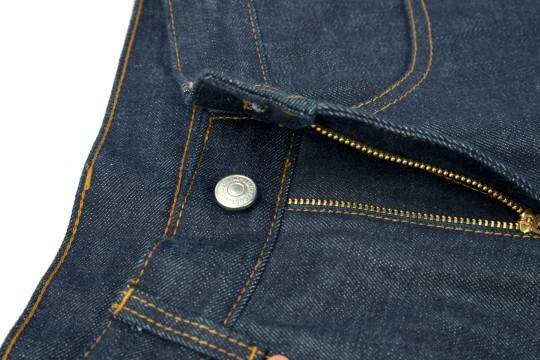 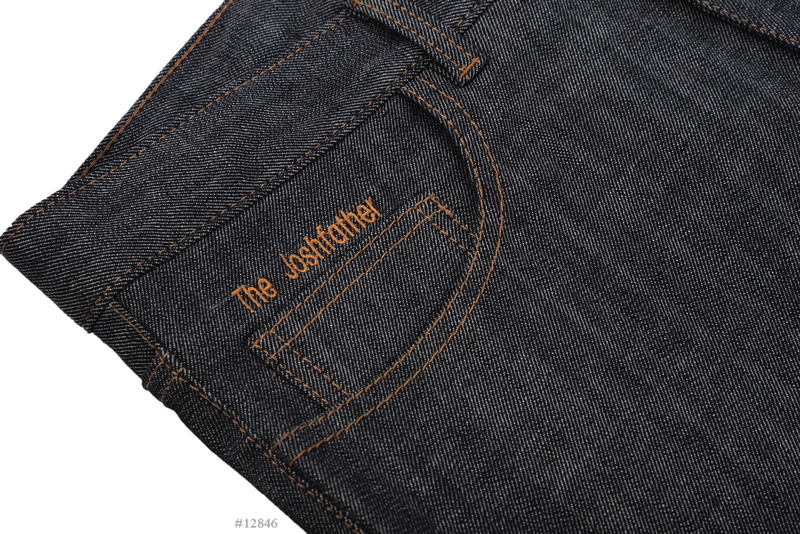 Consists of jeans style closure, front pockets with rivets and coin pocket. 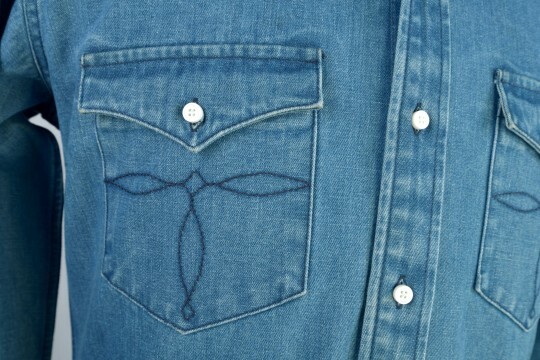 Initial embroidered above coin pocket. 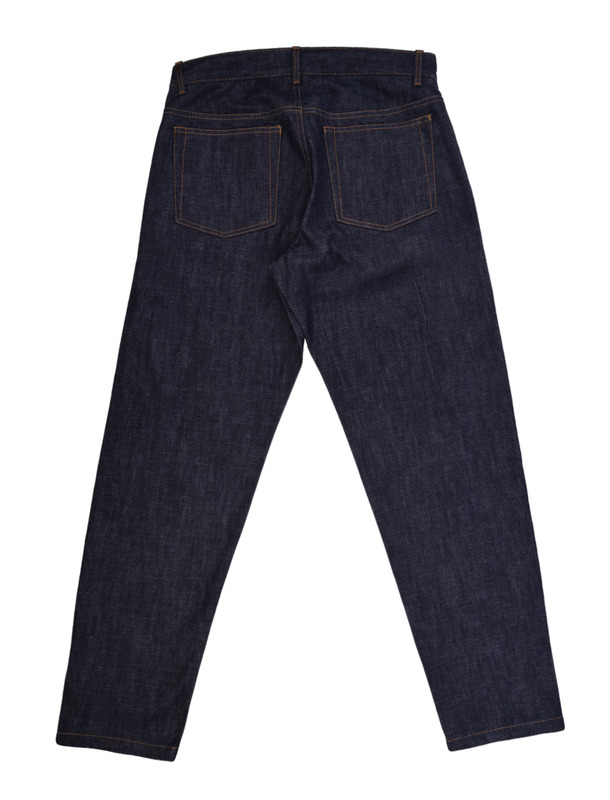 Luxire Selvedge - Custom Jeans. 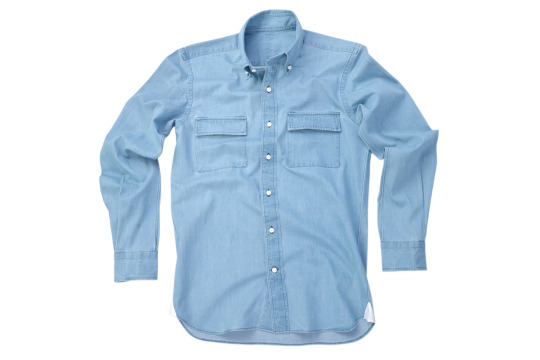 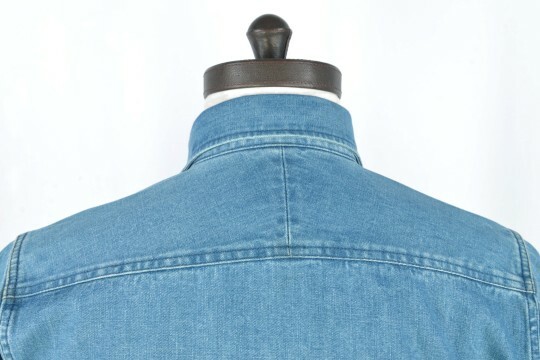 Luxire denim pullover shirt constructed in Dark Indigo Denim Chambray. 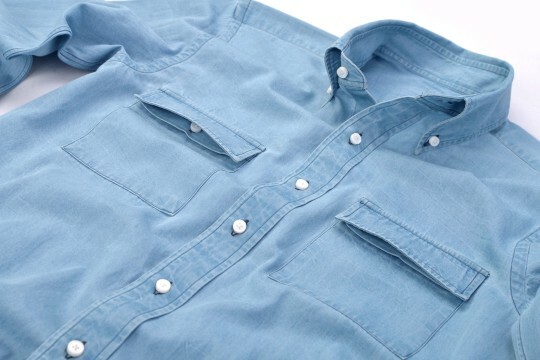 Button down single button collar. 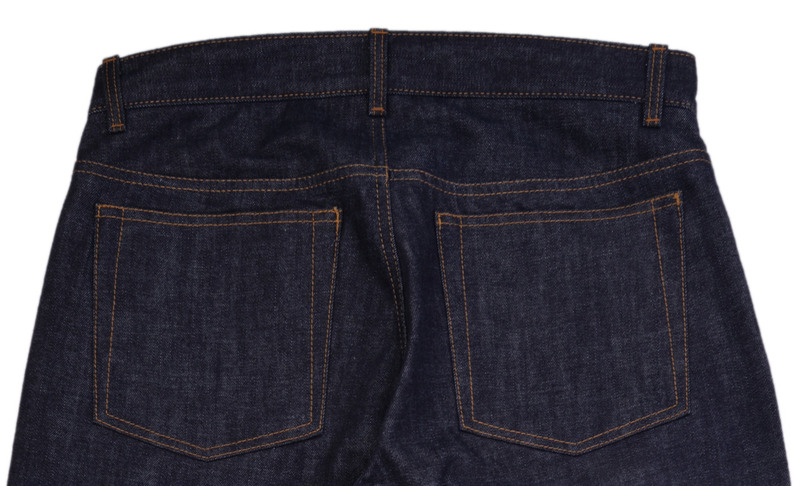 Split yoke, Inverted Back Box Pleat. 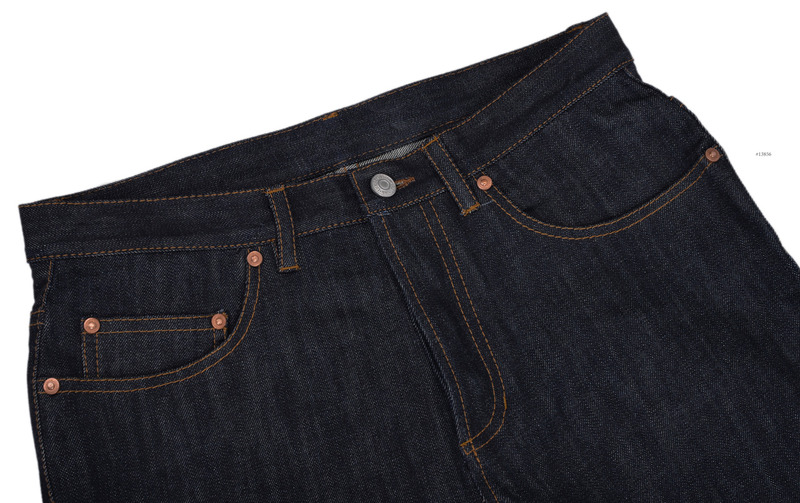 Featured with tan thread stitches, brass zipper closure, and metal rivets. 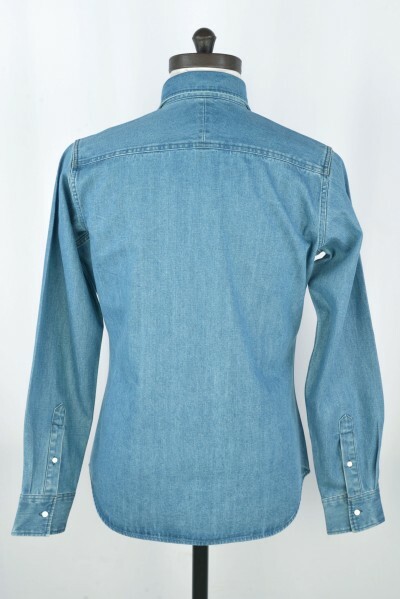 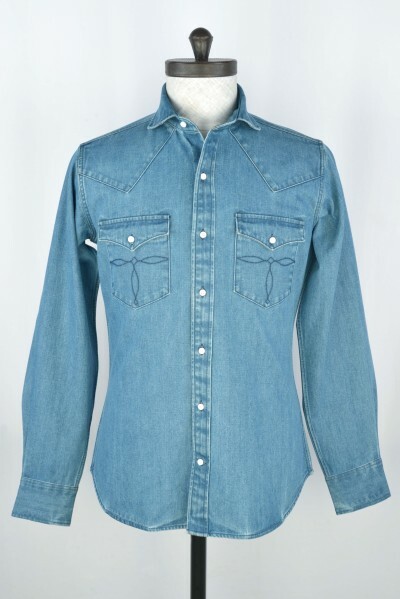 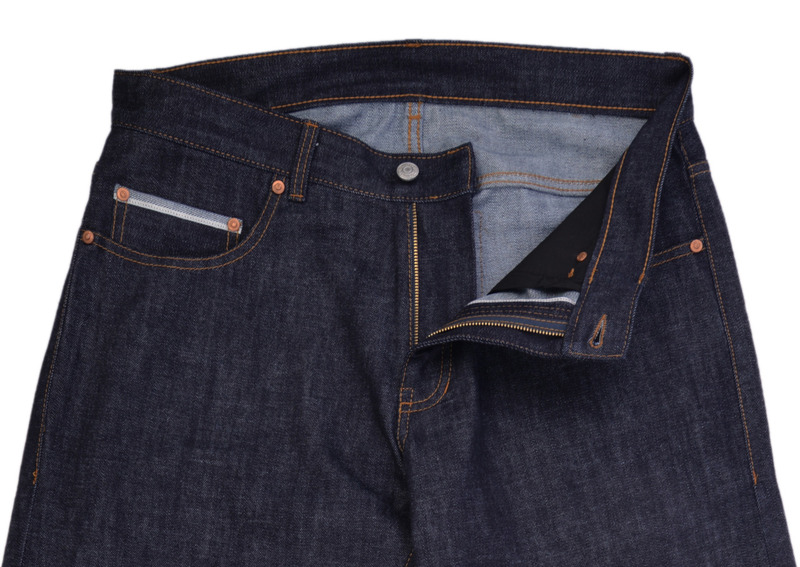 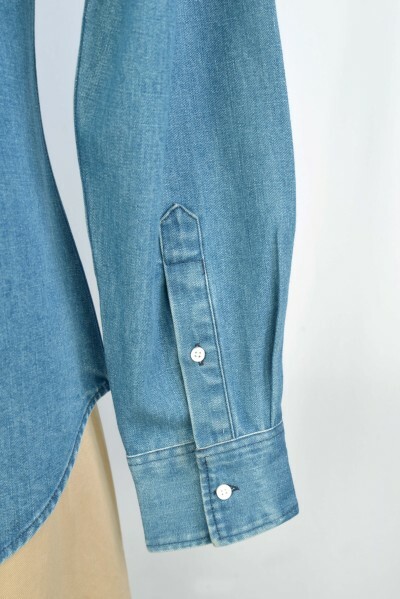 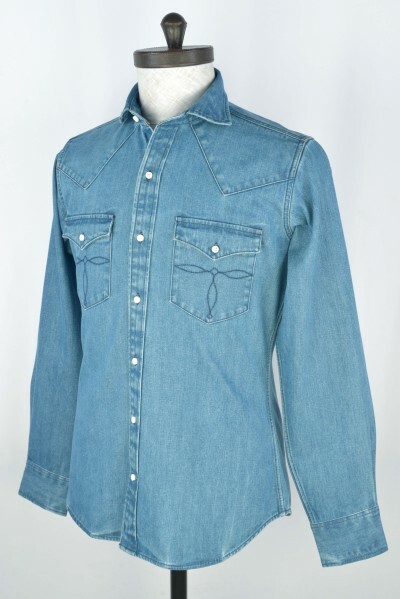 Luxire flap pockets with concealed buttons denim shirt. 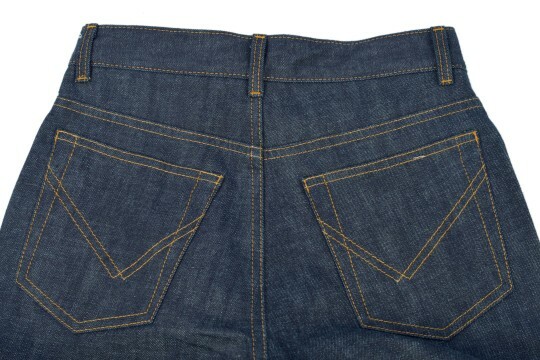 with frog mouth front pocket.